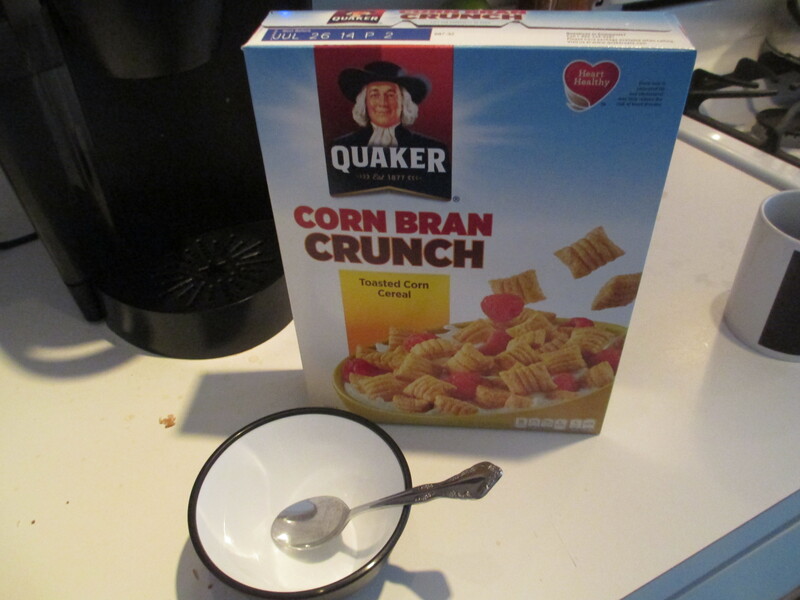 I mentioned to her that it would be awesome to be able to have that cereal again, and neither of us was sure Quaker still made it (after all, remember Teem soda? Shark Bites? Hi-C Ecto Cooler? Check out more extinct faves here: http://www.buzzfeed.com/daves4/25-foods-youll-never-eat-again). At first, we had this crazy idea—I’d put a call out via my blog and say that anyone who could find me a box could mail it to me and I’d send them a free copy of one of my books or anthologies in which one of my stories appears. But thanks to the power of the Internet, we didn’t need to do that: we were able to get our answer right quick: “Yes, they do! And oh my God,” said Missie, “they sell it here in Austin at my Target!” (Austin’s so huge there are more than one of any given chain—in Austin there are ten Targets. People there say “my” Target, or “my” HEB, or “my” whatever). 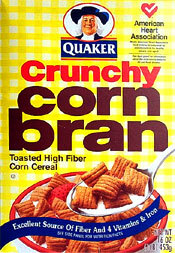 We made a plan: I’d get a box too, and then we’d sit down and have breakfast “together” on the phone—to see if it really WAS the same stuff; neither of us remembered it being called “Corn Bran Crunch,” and we were skeptical they hadn’t “jazzed it up” over the years. After all, when I got my box at the Target, the pieces depicted on the box cover looked much lighter in color than I remembered. January 2 came and we prepared to eat breakfast together. Enjoy the video! 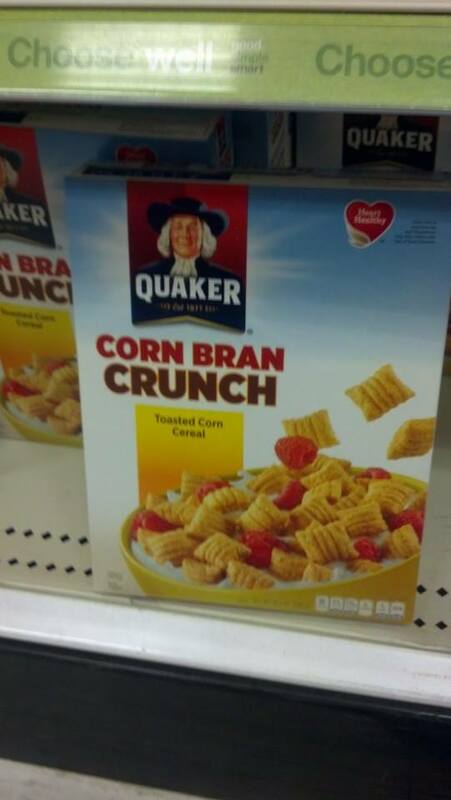 So now that we’ve found Corn Bran, what’s next? I was certain that another much-loved snack from my past—Gerber Baby Pretzels—still existed, but no luck so far; I’ve found few references to them anywhere. 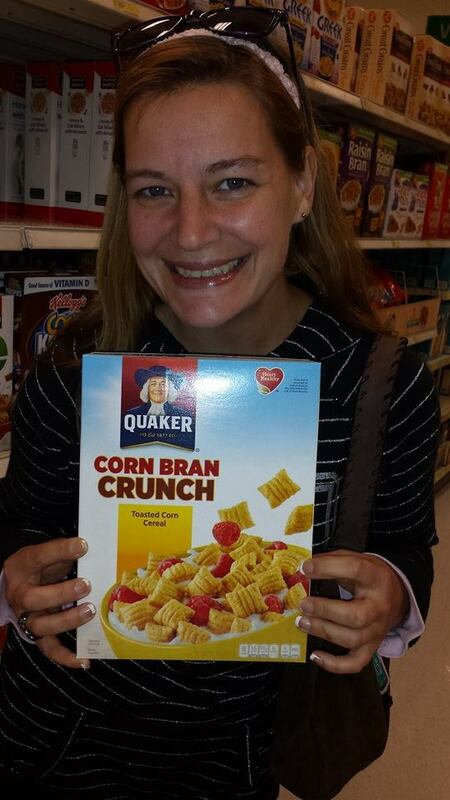 Posted on February 13, 2014, in Deep Thoughts & Fun Stuff and tagged Austin Target, Bethel Target, corn bran crunch, discontinued food, healthy cereals, Quaker Corn Bran, reliving childhood memories. Bookmark the permalink. 7 Comments. OMG I LOVE PUDDING POPS! I miss those, too. There are a lot of extinct things out there I miss. Thanks, Gail! Hey, I love my sister and we can share now, but back in the early days…well, not so much!! Oh, man, Lynne. It’s so funny how certain taste, like smell, brings back things more vividly than any of the other senses. 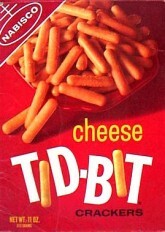 Oh yes..I agree on the cheese tid bits. I am a jersey shore girl too.i used to get those orange sherbert push ups at surf rider beach club in sea bright nj. They may still have those around. My kids are too old for the ice cream truck so I am not sure. Happy long weekend. Peace…..